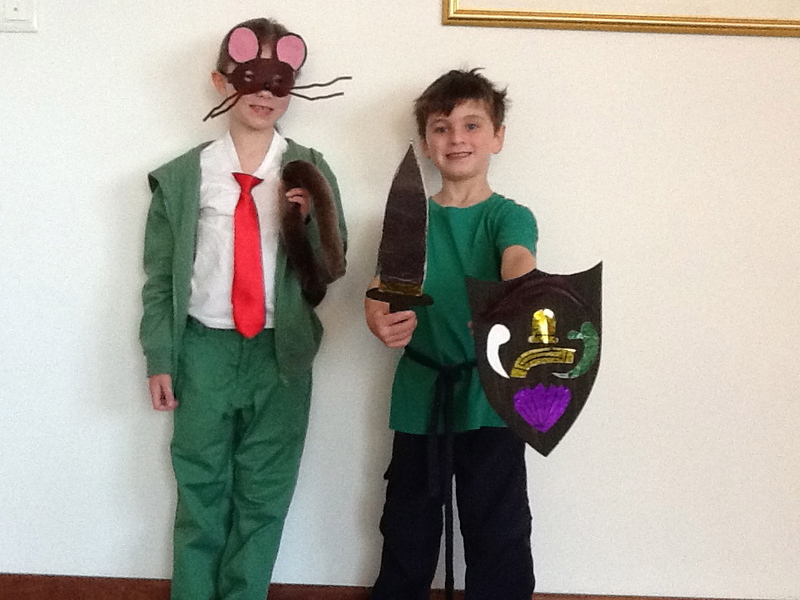 It is that time of the year again when the children get to dress up as a favourite character from a book for the day. 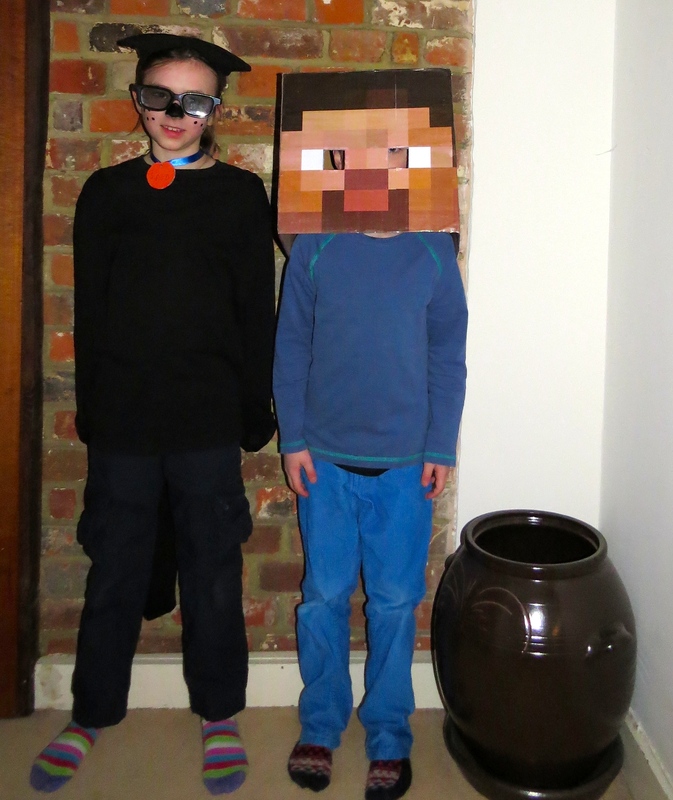 Gregor choose the be Minecraft Steve (check out here for my guide to making the head) and Katrine and a good friend chose to be Spy Pups, she choose to be Spud, as she has a realistic idea of her mother’s sewing ability and it was all black so not as much sewing needed. We didn’t dress up for world book day last year but I have found a photo from 2 years ago, when we were in Singapore. Katrine went as Geronimo Stilton and Gregor as Tom from Beast quest, if I remember rightly Katrine was rather hot that day! 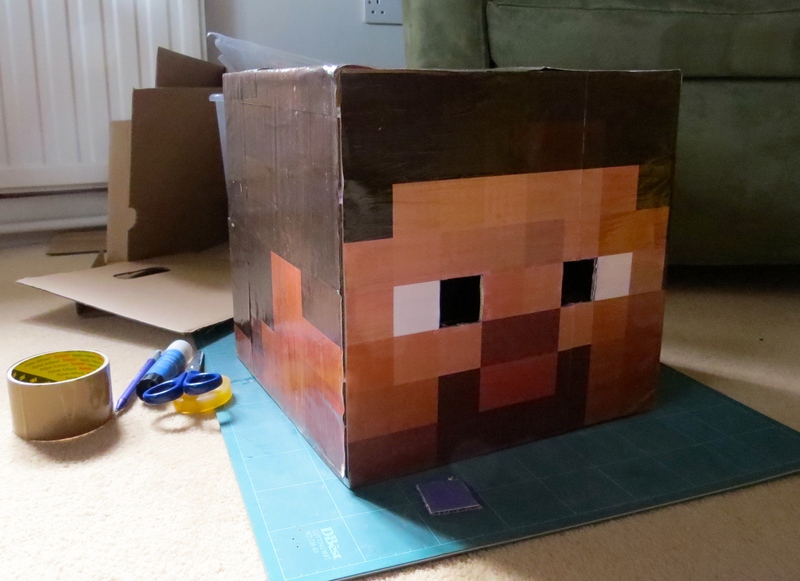 For world book day Gregor decided that he wanted to go as Steve from Minecraft. Which, in case you have somehow missed it, is a computer game where you build things using cube blocks that stick together. The limit on what you can build really is your imagination! Gregor, like rather a lot of seven year olds, is really into Minecraft and we now have 3 books and he has even been inspired to write his own Minecraft adventure, so even though it isn’t really a book character I thought I would ask his teacher if the costume was OK. Fortunately she agreed so now all I needed to do was make a Steve head. 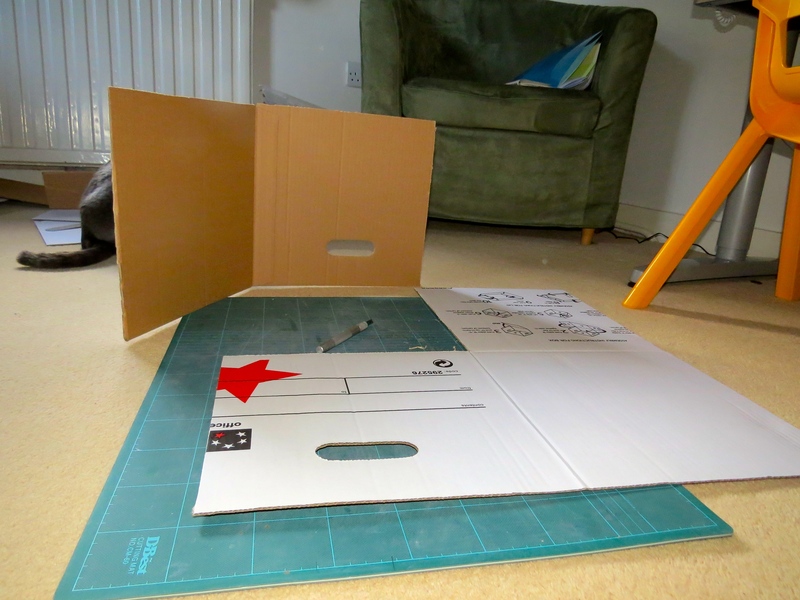 First step in any craft project – Google! Where I found some very kind person had made pdf’s of Steve’s head an scaled them up to person size. 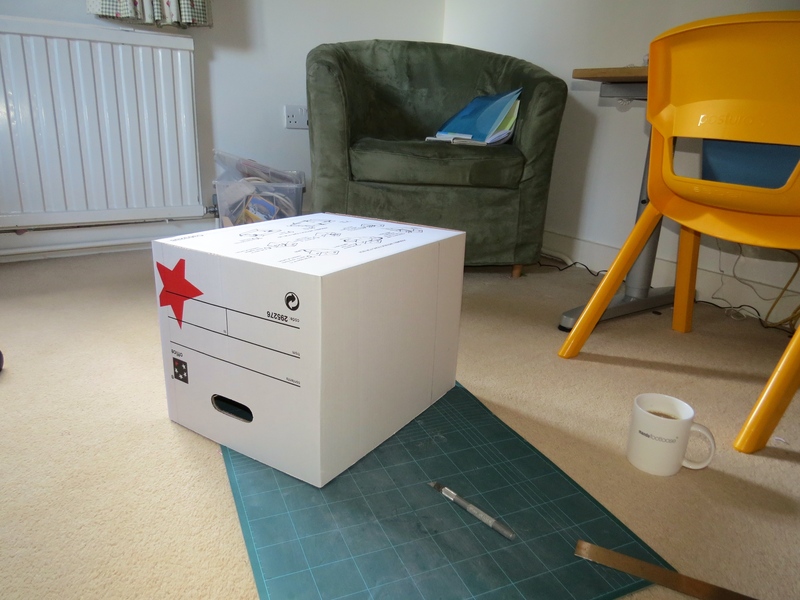 The instructions called for an 11x11x11 inch box, which I’m guessing is an American size but I couldn’t find it here. 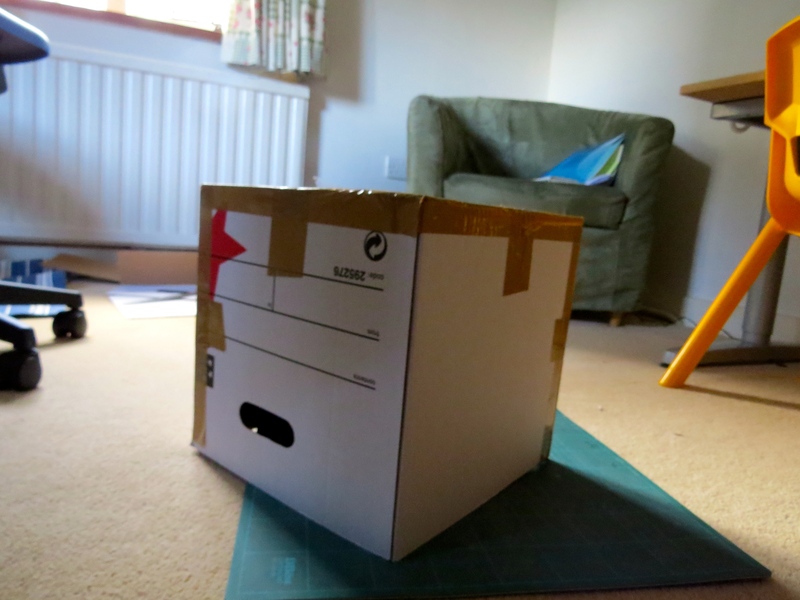 So step 1 was to take a perfectly good cardboard box and then cut it up and reassemble it slightly smaller. Step 2: printing out the pdf. 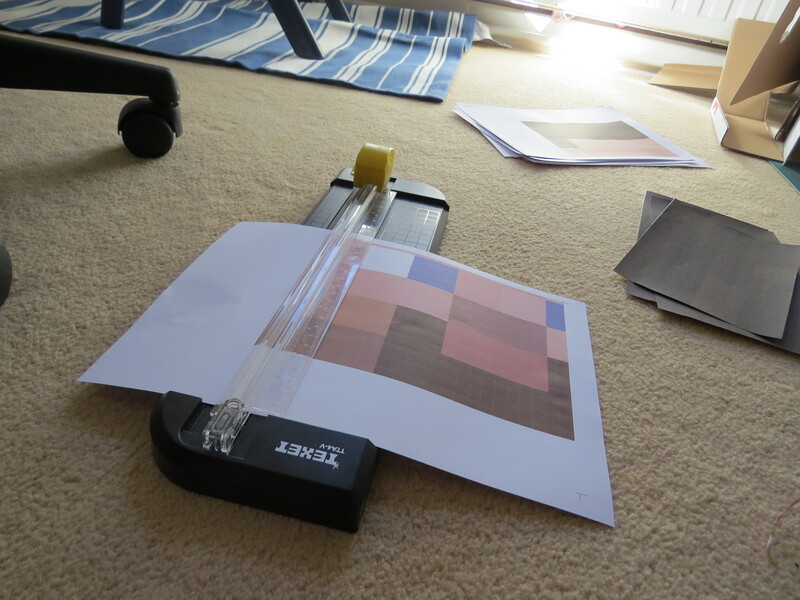 You need to print the pdf as a poster and select “tile the large pages” which will print it over 10 sheets. I’m guessing it was scaled to fit foolscap size but worked fine when printing on A4. All the images have to be cut out then, the paper cutter did make this a lot easier. The for the fun part, sticking on all the pieces to make up the head, it is easiest to start from the bottom left hand face piece and work round from there. There is a Youtube video showing this but it does go into a lot of detail, including how to use a glue stick! Then a quick coat of PVA glue to make it a bit more durable. You will have to check out the World Book Day post to see the head in action.